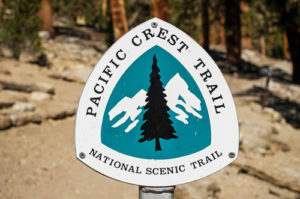 One of the many things we hear on this side of the country is “How close are you to the Pacific Crest Trail.” At Fix My RV AZ, Peoria’s best mobile rv repair shop, we can tell you the Pacific Crest Trail, or the PCT, is one of the best adventures you can go on. There are many towns along the way and RV parks dot the mountains all the way from California to Washington. Before trekking the 4 or 5 hours from Peoria, AZ over to the trail, make sure your RV is in ship shape. If you would like to venture out into the wilderness and take your RV along with you, here are some things to think about. Once you park your RV and set out along the trail, there are no rest rooms, there are no microwaves or stoves. What happens after you have spent all day on the trail and hiked back to your RV only to realize your plumbing system has gone bad? 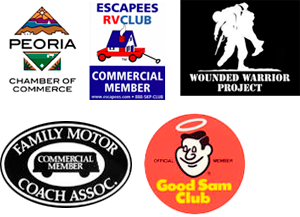 Have us at Fix My RV AZ mobile rv repair service check your systems before you head out and you won’t have any troubles with the plumbing in your home-away-from-home. The PCT spans deserts and valleys and mountain peaks. The temperature can go from hot to hotter to frigid all in a day’s hike. You want to be sure that by the time you return to your RV, you aren’t experiencing the same climate change without even moving. If this is happening to you, we can fix it! We are certified to fix any temperature control systems, including Aqua Hot hydronic heating systems. With all the hype about the infamous Pacific Crest Trail, we wouldn’t be shocked if you wanted to experience it. If you aren’t ready to make the hike and camp out every night, drive along the trail’s cities in your RV, but make sure you have your RV inspected and repaired by Fix My RV AZ before you head out. Call us today to set up an appointment!